Art Franschhoek 2018 will open its doors to the public with a fine array of artworks and exhibitions at wine farms and galleries. The event will run from 27 October to 25 November 2018. Over the years the valley has established itself as one of the country’s more interesting art destinations with its numerous art galleries and resident artists. Art enthusiasts can choose to leisurely browse the galleries situated along the village’s main road, and within comfortable walking distance from each other. Alternatively, one can view the artworks on display at certain wine farms, which include Grande Provence and La Motte, while garden and art tours take place at Leeu Estate. The month of Art Franschchoek celebrates these artists, and allows visitors to experience this unique part of Franschhoek. The Everard Read Gallery will be exhibiting major works by some of the country’s finest contemporary artists, in a variety of media. Manzart Gallery is the venue for Marie Stander’s solo exhibition. Marie, who has a fast-growing following throughout South Africa’s collector community, is best known for her figurative charcoal drawings, large scale portraits, group drawings, and near life-size drawings. These works will take prominence in the main gallery during Art Franschhoek. In addition to Marie’s exhibition, the Manzart Collection will also show works by collage artists Karin Miller and Caitlin Truman-Baker, amongst others. Magnificent sculptures by self-taught, instinctual sculptor, Bruce Little, will be on display at Franschhoek Cellars. 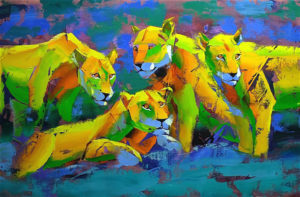 Bruce sculpts to capture the spirit of the wild African creatures he has observed for most of his life. 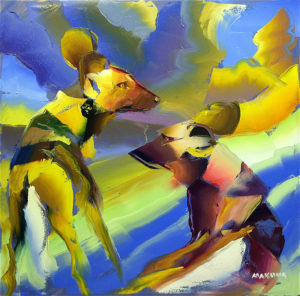 His technique captures the essential movement and attitudes of his subjects. Ebony/Curated, with its exquisite displays of fine arts, sculptures and ceramics, will host three solo exhibitions in their respective galleries. And the La Motte Museum will host an Ink on Paper exhibition by one of South Africa’s greatest masters, Jacob Hendrik Pierneef.